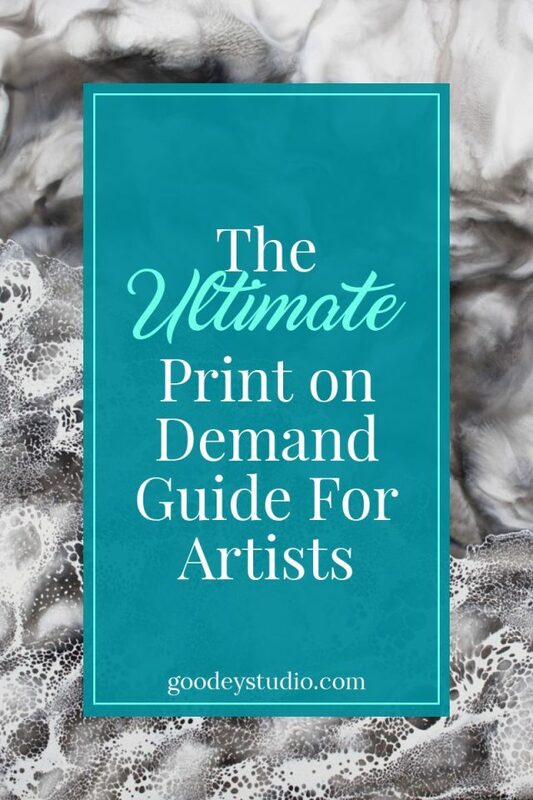 Working with Print on Demand Companies is the easiest way for artists to get their artwork printed onto physical products, but it isn’t without its own headaches. It’s exciting to think about getting your work printed on everything from mugs to duvet covers, but you have to be willing to not inspect every order that goes out the door for quality issues and hope that the company you are working with holds up to their quality standards instead. It’s a lot to think about and choosing a company can be confusing and hard. 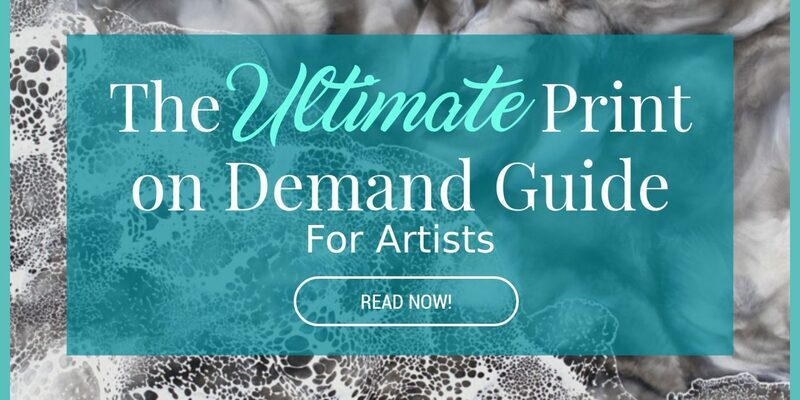 In this guide I want to give you a complete run down of the types of print on demand websites, how they work, their pros and cons, and why print on demand may not be right for you. Print on Demand (POD) companies are those in which artists can get products printed to fulfill orders one by one. It’s a way for artists to leverage their work and create a more passive, hands off stream of income by working with a third-party printing company that manufactures products with an artist’s artwork printed on them and fulfills the orders. There are two main types of POD companies available now days for creatives to use. The first type I call market based and the second is integration based. A market based POD company has their own branded website with a shopping market full of many different artists. Meaning you send your customers to their website where you have a mini shop dedicated to you. If you are familiar with the selling platform Etsy it is very similar to that. In other words, you are an artist on their platform with a bunch of other artists. Popular market based POD companies are Socitey6, Redbubble, Zazzle and Fine Art America. These companies market their own websites and you may get additional traffic to your listings from their customer base that you would not have otherwise. The sales are completely passive for you. You don’t have to do any of the printing, packaging or shipping. You also don’t have to do any of the customer service since the customer technically belongs to the Market Based POD, not you. They collect and remit sales tax while you just collect your royalty from the sale. Thus far they tend to have a larger selection of products to print on. Anyone you send to their site with a few clicks could leave your mini shop and find a lot of other art to buy that is not yours. 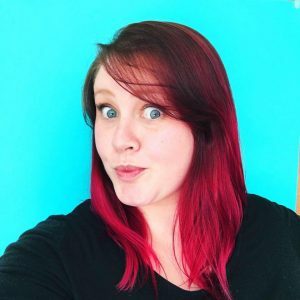 You don’t have an easy way to convert any of your buyers to a mailing list or anything else because they are technically not your customer thusly you get no information about them. The royalties are generally smaller than integrated PODs because they are taking on even more responsibilities. These companies do not have their own marketplace. Instead they integrate with platforms you are already selling on such as Etsy, Shopify, Woocommerce etc. These sites integrate via an app to your website, or you create a listing on your site manually and then manually enter the orders onto their websites. They do have their own websites where you set up product mock with them, but that is only for you to see and work with. These POD companies are working in the background unseen by your customers. Popular integrated POD websites are Printful, Gooten, Printed Mint and Art of Where. All the printing, packaging and shipping is still hands off and hassle free for you. Since the customer is purchasing through you, and not the POD company directly, you will have to handle all customer service issues yourself. Since you are processing the sales through your website you will have to collect and remit sales tax when applicable. You will need to set processing times, shipping prices etc. based on the PODs terms. They usually have all of this information available, but you should comb through all of the POD terms and services to make sure you understand what expectations to set for your customers. If your website doesn’t have an available app integration you will need to input orders into their site manually. Which is some extra work but still better then setting up your own print shop! Many of these sites haven’t introduced some of the large products like coffee tables or wallpaper. Why Print on Demand may NOT be for you. Obviously if your artwork does not lend itself well to any print type products then this business model won’t work well for you. If you are trying to create a wholesale line this may be a way to test products direct to your customers first, but financially won’t work for selling wholesale into stores. Also think of the reputation you are trying to create as an artist. While it’s not a hard and fast rule I do think if you are trying to be a highly sought after gallery artist you need to limit the mass reproduction of your artwork. If you already have gallery representation you may want to talk to them about reproductions and honor your working agreements with them. Finally, if you only want your artwork or designs made into prints on paper or reproductions on canvas, I would seriously suggest thinking about doing that in house or with a local printer. Those things are much easier to manage on your own and you can have much greater quality control. I think POD is really for people wanting to push much further into textiles and home goods type products that require specialty printing equipment and manufacturing. Why I personally like print on demand. I’ve been selling my artwork for over a decade now in various forms and styles. I have both printed physical products such as mugs in my home studio and used POD sites to fulfill customer orders. I am focused on trying to let go of headaches I don’t need, which for me means outsourcing all of my printing other than my paper prints. I don’t need the headaches that come with printing all different physical products. I also don’t need the financial burden of carrying physical inventory of those products! For years I thought “oh I can do that myself” and I figured out how, but I was also adding too much to my plate of things to learn and manage. So now I like to think about “ok I don’t need to do that myself”. I want to spend more time creating exciting artwork and engaging with my community. Hopefully this information about Print-on-demand companies answered any questions you had and will help you determine what is best for your business. If you haven’t already read my post Top 8 Print on Demand Companies: An In-Depth Review, I suggest heading there next to see the pros and cons of specific POD companies. If you have any further comments or questions share them below or feel free to email me and I’ll do what I can to help! Hi Friend! I am here to encourage creative self expression and daily laughter.